Brisket can be cooked many different ways. Basting the meat is essential during cooking. 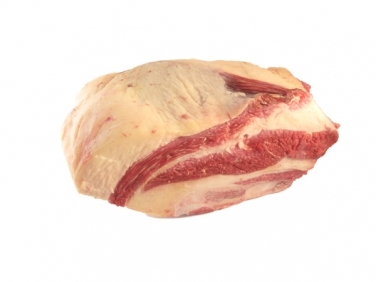 Brisket of beef on the bone needs to be slowly cooked at a low temperature due to the collegen fibers that make up the significant connective tissue in the cut. The slow cooking helps tenderize the brisket, as the collagen gelatinizes, resulting in more tender beef. The fat cap can be left attached to the brisket, which helps to keep the meat from drying during the prolonged cooking necessary to break down the connective tissue in the meat. Water is necessary for the conversion of collagen to gelatin.